Kwik is the media player on nero 11. With Kwik you can watch movies, listen to music and view pictures, some more info about kwik can be found here. Now let’s take a brief look at the Kwik media player. 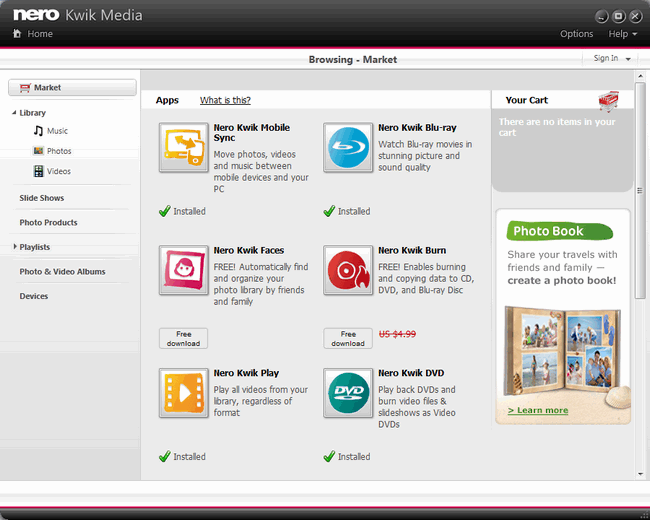 This is the first page of Kwik media, where you can create a photo calendar, import files to library and burn discs. So we simply click on Skip and we can now go ahead to the main program. 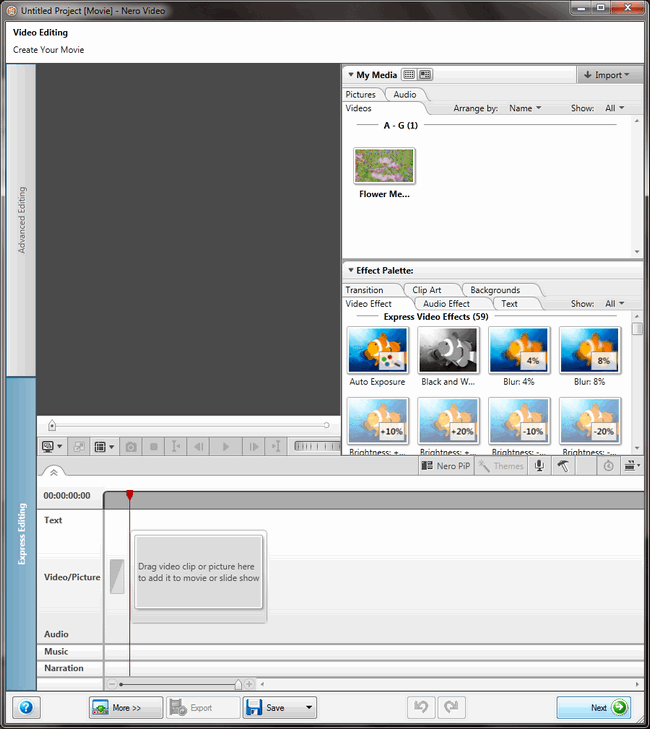 The main window is simple and you can access your media and create playlists or slide shows. 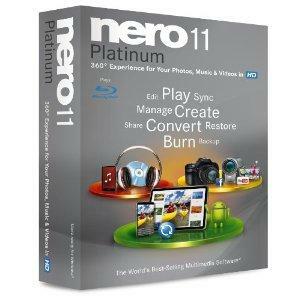 You can burn or share your media on My Nero, YouTube, Flickr and Facebook. You also can have access to the nero market that will enhance your experience with nero 11. Here is a quick view of the Market. Nero Backitup continues to be a very easy way of backing up your data. A more detailed view can be found here. The main screen of nero 11 BackItUp. 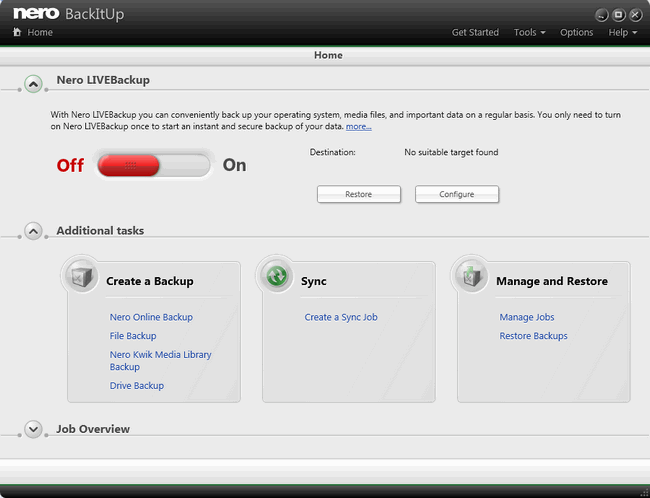 The first thing that we notice is Nero LIVEBackup, you won’t have to worry about your backups, all you have to do is select the destination drive, the drive that you want to backup, and finally set how often you want the files to be backed up, the default value is 2 hours but you can change this. A very useful feature. There are also ways to manually backup drives/partitions and files/folders. You can also Restore your backups. Nero Burning Rom hasn’t changed, and that’s a good thing. Everything that we got used to is still there, with some improvements. As we can see not much has changed in appearance. The DiscSpan function that was introduced in nero 10 is there, and there is also one new button. It’s the nero Media Browser. When you click on it a new windows appears and you can choose what files you want to add to your compilation. This is what you will see when you will click on the nero Media Browser. 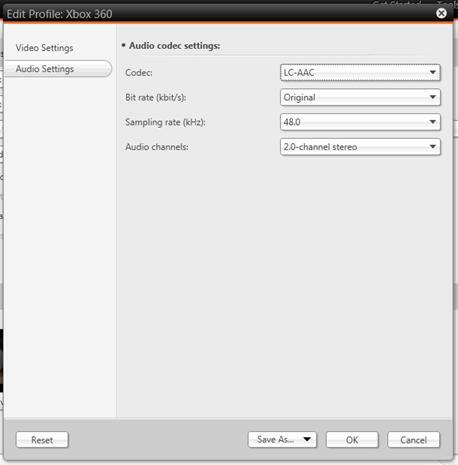 Nero recode is another program in this suite that has been heavily updated. 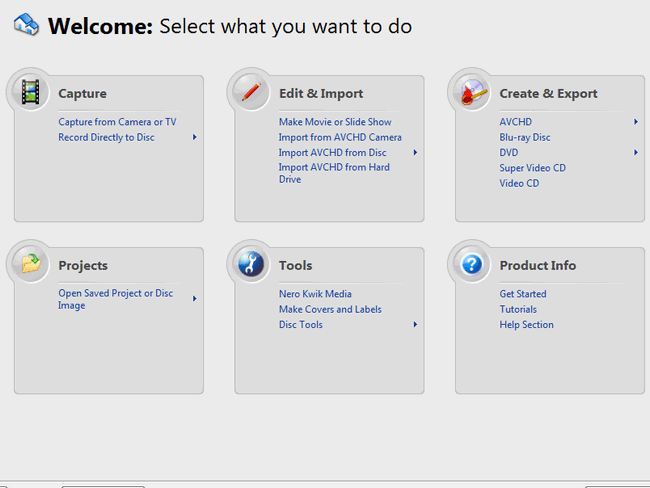 Now you have many more options to choose, you can convert DVDs and HD material to another format. There are also some more options to convert files to enable them to be played on an iPad, ipod, iPhone, PS3, Xbox 360, PSP or you can manually create new profiles and save them. Nero Recode is able to take full advantage of all CPU cores and also all the latest acceleration that modern graphic cards can provide, such as NVIDIA CUDA, AMD App Accelerator and Intel Quick-Sync-Video. Here is what see on the first screen of nero Recode. 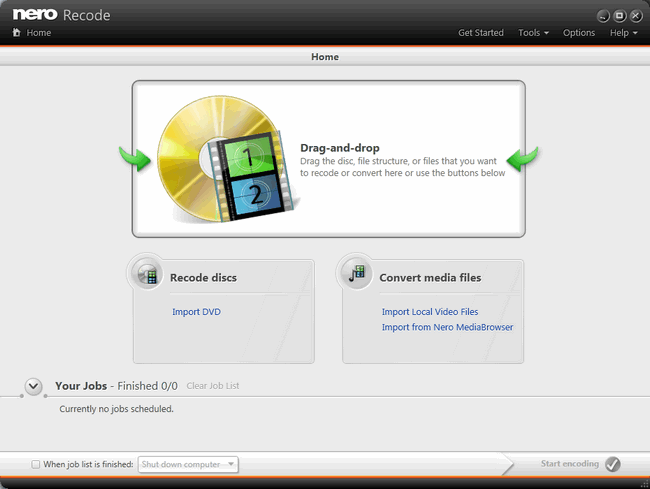 Three main options are Drag-and-drop, Recode discs and Convert media files. Now let’s take a look at the settings. 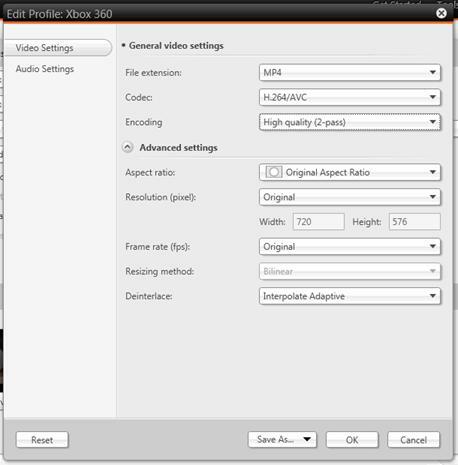 The Video Settings have almost everything that you need for your everyday use, and also you can save the changes that you made in a new profile. 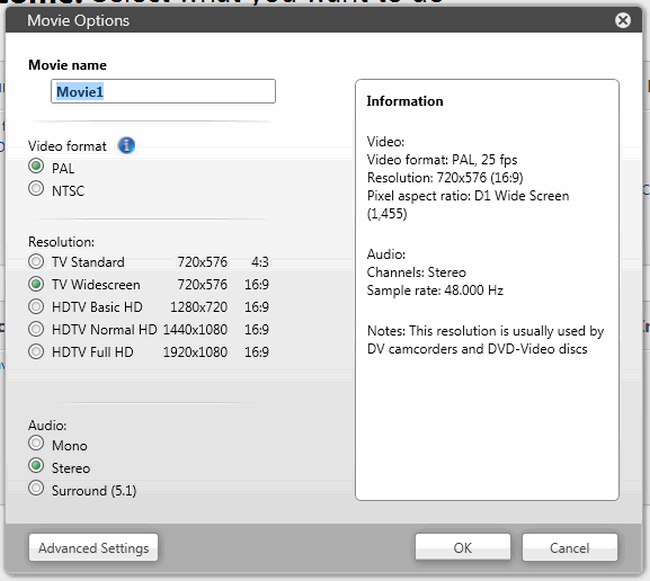 Nero Video will allow you to make a DVD or a Blu-Ray disc look more professional with menus and effects. You can also capture, manageand author your own videos. Again you can take full advantage of NVIDIA CUDA, AMD App Accelerator and Intel Quick-Sync-Video. The welcome screen gives you the option of choosing what you want to do. Clicking on ‘Make Movie or Slide Show’ will ask you to set the video format, resolution and audio. After that you click OK and you will be in the main window of the program. This is express editing mode, and an easy way for users that simply want to add some effects to their movies. 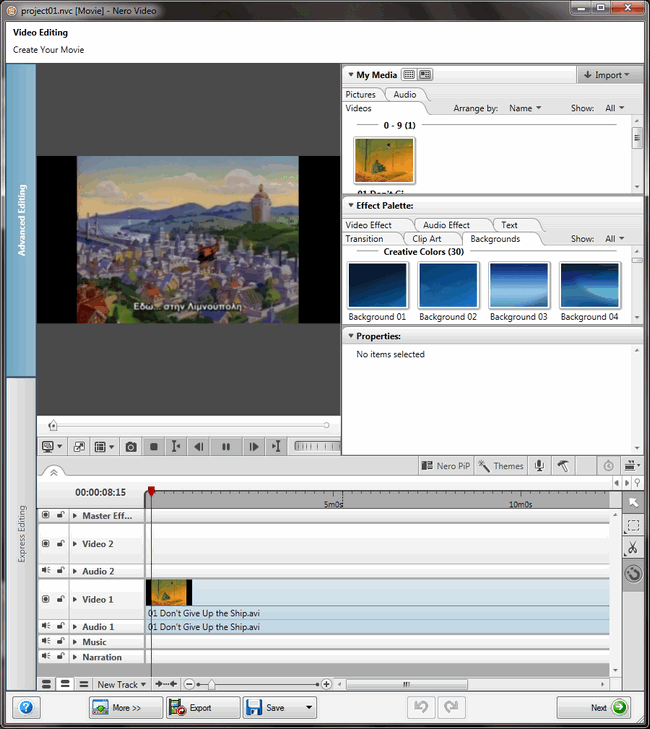 There is also an Advanced editing option that will allow you to have more control over your videos. Here’s what the advanced editing screen looks like. For more info on nero Video you can click here.